So it seems like literally every night is fight night at home with Cali and RD. Most times I just try and leave them to get on with it and when they've finished fighting either one of both come running and crying to me and I just listen and don't really do much because I always see how it starts and can always predict how it will end and normally the one crying the loudest normally deserved the hard hit. Although most fights are started by Cali and the thing with her is she loves to hit first and can't take getting hit back and RD will allow her to hit him a lot before he attacks and I keep telling her not to hit people 1st because one day someone (who is not her brother) will turn around and hit her back hard and seriously hurt her. Sometimes I feel like I'm watching some WWF match because they really go for it and although they both tend to get hurt it doesn't seem to stop them from fighting again. 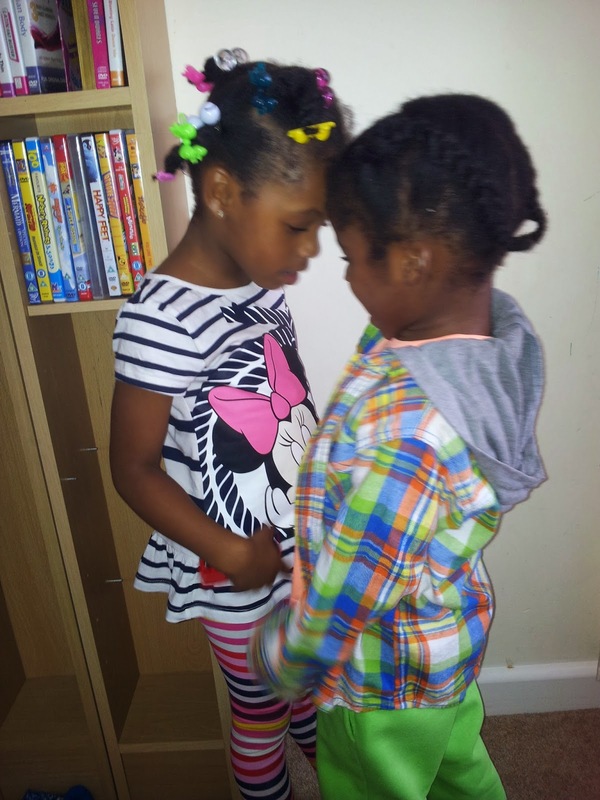 From what I've been told from older people who have grown kids close in age, the fighting is not likely to stop anytime soon, But saying that once they've finished fighting they're back best friends and playing nicely seconds later like nothings happened. Sometimes I just can't keep up, which is another reason why I try not to get too involved.